Find hotel near Chartridge Conference Cen .. If you are clueless about the perfect venue for your last-minute meeting, wedding, conference or just a weekend gathering, come to the Chartridge Conference Centre, Chesham, an area of outstanding natural beauty and tranquility. Sprawling over 25 acres of landscape against the backdrop of the rolling Chiltern Hills, this 19th-century lodge is still carrying out most of its legacy in one side and decking up itself to accommodate an eclectic range of meetings and gatherings of any size and shape on the other. The staple amenities feature 20 meeting rooms; refined furnishing, Sunday carvery, off-street parking and event space just to name a few. You must try the mouthwatering dishes served directly from the chef’s kitchen here. 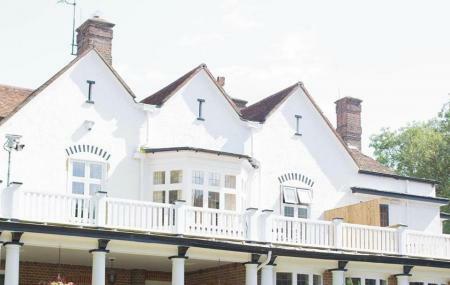 Explore Chartridge Conference Centre and other prime spots of the city using Chesham trip planner. Your worry of where to stay in Chesham is sufficed by bunch of interesting and comfortable lodging options in the Chesham like Holiday Inn Express Hemel Hempstead, Holiday Inn High Wycombe M40, Jct.4 and Boxmoor Lodge Hotel. Create your own Chesham vacation packages or choose from the ones made by travel experts. Also explore the best ways for how to reach Chesham. How popular is Chartridge Conference Centre? People normally club together Berkhamsted W W 1 Trenches and Lowndes Park while planning their visit to Chartridge Conference Centre. People also prefer to start their day with Chartridge Conference Centre.